Macquarie Atlas Roads (MQA) today announces its full year results for the 12 months ended 31 December 2015. 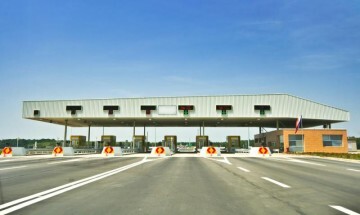  Statutory 2015 net profit of A$85.1 million1 comprising share of net profit from MQA’s investments in Autoroutes Paris-Rhin-Rhône (APRR) and Dulles Greenway, as well as proceeds relating to the sale of the Indiana Toll Road (ITR).  Portfolio 2015 traffic growth of 2.9%2,3 compared to the prior year, reflecting higher traffic volumes on the APRR network and strong performance at Dulles Greenway.  Proportionate revenue increased 3.5% to A$727.2 million3 in 2015, reflecting improved traffic and toll increases.  Proportionate EBITDA4 from road assets increased 4.4% to A$523.7 million3 in 2015.  Financial close was reached on the sale of the concession owner of the ITR in May2015, with proceeds to MQA of US$25.0 million for its 25% interest.  Financial close on the sale of the concession owner of the Chicago Skyway is anticipated to occur by the end of February 2016. Net proceeds to MQA for its 22.5% interest are estimated to be ~US$95 million.  Full year 2015 distribution of 16.0 cents per security (cps), an increase from 13.2 cps in 2014. “MQA continued to deliver on its strategy of growing distributions, strengthening our balance sheet and enhancing the value of our asset portfolio for security holders. During the year we further simplified our portfolio through the divestment of non-core assets.  APRR delivered another record result in 2015, with EBITDA of €1,589 million. Traffic and revenue across the network increased by 2.7% and 3.0% respectively, despite the absence of a 2015 toll increase, reflecting an improvement in the French economic environment. This, combined with cost efficiencies within the business, resulted in an improved EBITDA margin of 71.8%.  Dulles Greenway traffic performed strongly during 2015, up 5.4% on 2014. Traffic benefited from further corridor population growth and development, with the largest traffic improvement occurring during off-peak periods. Higher traffic and the toll increase on 4 March 2015 contributed to 2015 revenue and EBITDA growth of 7.9% and 5.1% respectively on 2014 levels.  Extensions to the APRR and Autoroutes Rhône-Alpes (AREA) concessions were achieved in August 2015, via the implementation of the stimulus package (an industry- wide capital expenditure plan involving ~€720 million of investments by APRR and AREA across five projects), and in January 2016, through the merger of the Tunnel Maurice Lemaire concession with the APRR concession. These collectively resulted in the APRR concession being extended 2 years 11 months to 30 November 2035, and the AREA concession being extended 3 years and 9 months to 30 September 2036. MQA paid a total distribution of 16.0 cps for the full year 2015, up from 13.2 cps in 2014. MQA today confirms distribution guidance for the full year 2016 of 18.0 cps, subject to movements in foreign exchange rates and unforeseen events. MQA anticipates declaring a first half 2016 distribution of 9.0 cps during March 2016. It is expected that the distribution will include foreign dividend and capital return components.